Minimally Invasive Spine Surgery (MIS) includes posterior cervical fusion, thoracolumbar fusion, diskectomy, laminectomy, vertebroplasty and kyphoplasty. With the advance of MIS technology, MIS can now be performed for spinal deformity correction involving multiple levels, like degenerative scoliosis/kyphosis. The MIS technique employs the use of tubular retractors/ endoscopes to achieve the necessary exposure for the surgical site. MIS minimizes tissue retraction and dissection. The incisions are much smaller than the traditional open approach. Patients usually suffer from less blood loss, less postoperative muscle spasms, pain and scarring. Patients typically have a much lower infection rate and faster functional recovery. The exponential growth in robotic spine surgery is promising to be our future for spine surgery: efficiency, precision, means faster recovery times, reduced complications and, in some cases, may render an inoperable diagnosis as operable. The lower cost will enable more patients being benefited from minimally invasive spine surgery. The system we use in Ascension Providence provides navigation and robotic guidance with real-time intraoperative visualization and feedback mechanisms. 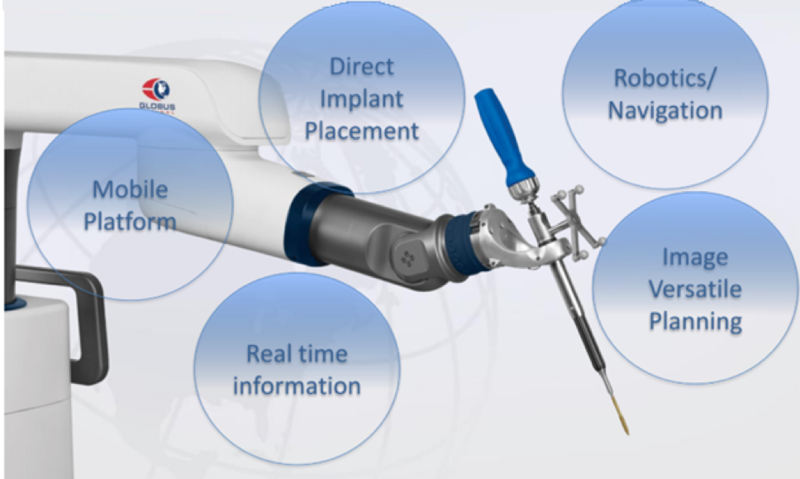 It is also the only system which have navigational end effectors which will directly insert the pedicle screws, eliminating use of K-wire. Due to different surgical angles required, the surgeons often maintained very uncomfortable and ergonomically challenging positions in order to visualize through the microscope. Teaching the residents has also become a challenge as only two operators can view through the surgical microscope. The Synpative Medical Modus V navigational robotic microscope solves these two problems by providing digital visualization transmitting the operative image to 55-inches wall monitors. It offers superior optics (12.5 optical zoom) which is at least 2 times more depth in field depth than other microscopes. The use of robotic tracking of navigational instruments allow hand-free control and autofocus of the microscope, greatly improving the efficiency of the procedure while minimizing the risk of contamination. 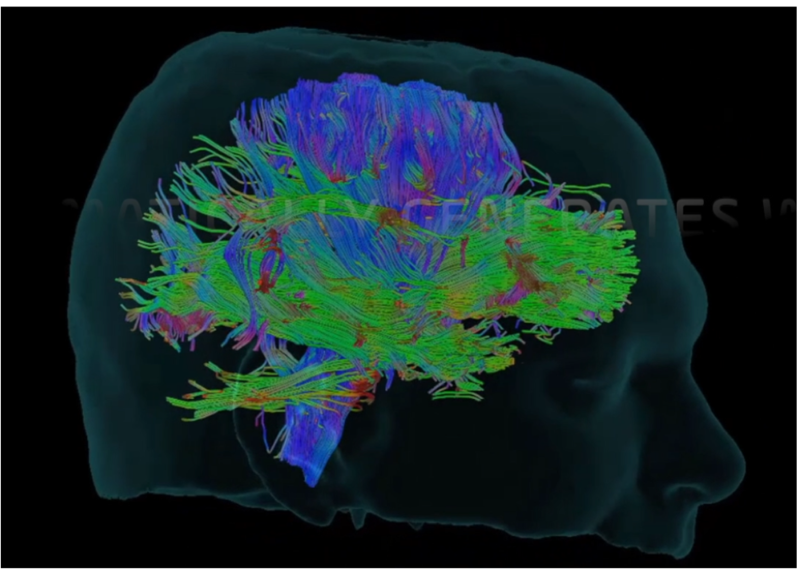 The flexibility of the platform allows future addition of the cranial module with digital tractography. Future improvement will include 3D monitor and the capability to visualize fluorescence staining in tumor removal. Endovascular intervention for Cerebral Aneurysm – While the traditional method is to clip the aneurysms, most of the aneurysms can now be fully treated by coiling, with or without stenting. Angiogram is first performed, which involves the passing of a catheter from the patient's femoral artery in the groin up to the vessels leading to the brain. Contrast dye is then injected to delineate the anatomy of the aneurysms. Then, platinum coils are placed into the aneurysms to induce clotting. Sometimes, a stent is inserted as part of the procedure to maintain patency of the normal vessel and to stabilize the coils in a broad-based aneurysm. The latest development is the use of flow diverter in order to reduce the recanalization and improve aneurysm occlusion. Pipeline™ Flex embolization device is the only FDA approved flow diverter in the treatment of cerebral aneurysm. Ascension Providence is the third largest institution in Michigan which uses this device. Endovascular intervention when compared to the traditional open method has been proven in the International Subarachnoid Aneurysm Trial (ISAT) to have lower mortality, morbidity, shorter length of stay and blood loss. Laser-assisted Tumor Removal is the latest technology used in the resection of tumors of the brain, spinal cord and skull base. Carbon Dioxide laser is transmitted via fiberoptics to aid in tumor removal. Traditional techniques using microdissection and CUSA (Cavitronic Ultrasonic Suction Aspiration) can be ineffective at times in dense, fibrous, calcified tumors. This is especially true in large vascular tumors where traditional techniques are associated with significant blood loss. The use of laser has increased the precision of the resection, improves access to the tumor, decreasing blood loss and surgical time. Stereotactic Radiosurgery (SRS) employs 3-dimensional reference system to localize a target lesion, usually a tumor, and deliver a highly focused ionizing beam of irradiation to the target. Information from MRI/CT is transferred directly into the treatment planning computer to create a 3D model of the tumor and the surrounding tissue. SRS is an intense form of radiation therapy. It is generally used for tumors inaccessible or unsuitable for open surgery. Artificial Disc Replacement Surgery refers to the replacement of the degenerative discs with metallic disc implants. The disc implants allow movement between the adjacent spinal vertebral bodies, giving more flexibility and minimizing accelerated degeneration of the adjacent levels. The artificial disc replacement is generally done on younger patients. The procedure is done through a small incision. This procedure can be performed on both the cervical and lumbar spines. Patients generally show a faster recovery with this surgery technique than the traditional open procedures.